According to a report published today by PC World, NVIDIA will soon require its users to use the GeForce Experience software and provide a valid email address for registration in order to get Game Ready drivers. This should happen sometime in December. On the other side of the equation you have enthusiast gamers, who get excited about preloading a game, who want to play a game the day it comes out with all the bells and whistles. 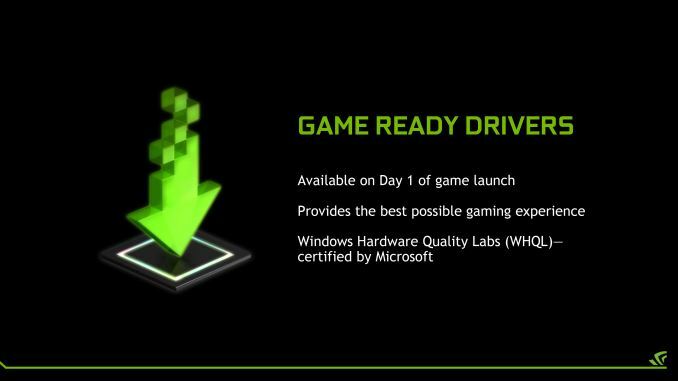 That’s obviously the demographic we’re looking at for Game Ready drivers. We’re targeting GFE as a single-source destination for those gamers. 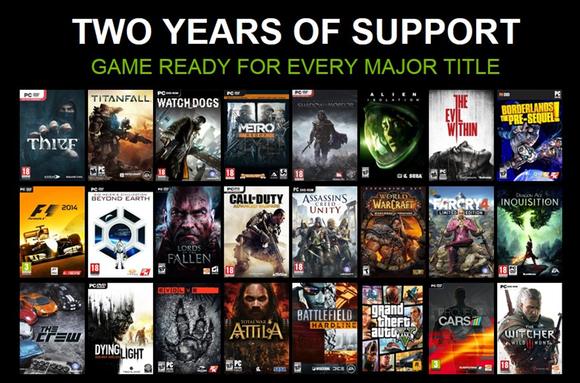 Drivers will still be released separately on the official site, but only on a quarterly basis; if you want that Game Ready Driver for a newly launched title, you’ll need to use GeForce Experience. According to NVIDIA, around 90% of the driver updates are already happening in this way. Clearly, the “green” company intends to make the software a central part of the gaming experience for every PC user with an NVIDIA GPU. For example, they also intend to distribute game codes and provide news via GeForce Experience eventually, as that would be more practical for most users. There’s more news, though. A new beta version of the software will be out later today, bringing several improvements. First of all, it is now possible to encode GameStream at 4K which will be particularly useful for those who bought the Shield Android TV box; obviously the requirements for such heavy game streaming are far higher – only Maxwell 2 GPUs can handle this, and NVIDIA also recommends a connection of 100 Mbps or better for 4K streaming. 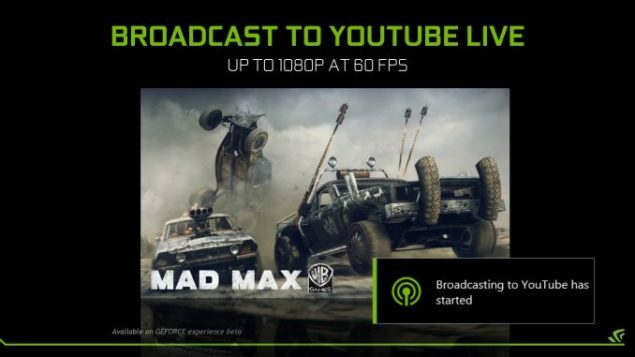 Moreover, GeForce Experience will now support broadcasting to YouTube as well as Twitch, and NVIDIA also boosted maximum quality to 1080P/60FPS from the previous 720P/60 limit, with a maximum bitrate of 9 Mbps.